Pat McCrory was sworn in as North Carolina's new governor in a private ceremony on Jan. 5, becoming the first Republican in 20 years to hold the state's top office. He joins veto-proof Republican supermajorities in the state House and Senate as well as a conservative majority on the state Supreme Court. The public inaugural celebration will take place this weekend, with a parade, parties, musical performances, and a formal ball whose lead sponsors include tobacco giant Reynolds American. 1. 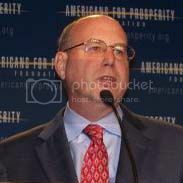 Art Pope: The Koch brother from another mother in charge of the state budget. After co-founding the Libertarian Party of North Carolina while studying political science at UNC, Pope went on to earn a Duke law degree and serve as special counsel to Gov. Jim Martin, the state's last Republican governor, and four terms as a Republican state representative. Today Pope is known for his generous contributions to conservative think tanks and politicians, including at least $20,000 he and his immediate family contributed to McCrory in the latest election. The money comes from the family business Pope heads -- the North Carolina-based Variety Wholesalers discount retail chain. Pope is a close associate of prominent conservative philanthropists David and Charles Koch of the Kansas-based Koch Industries oil and chemical conglomerate. He served as a national director of the Koch-funded tea party group Americans for Prosperity and attended the Koch brothers' annual VIP strategy meetings for wealthy conservatives. In addition, Pope's family foundation has contributed at least $1.9 million to the Americans for Prosperity Foundation, making it the group's second-largest backer after the Kochs. Now -- after Pope's long involvement in a political movement that advocates a free-market ideology, opposes tax increases on principle and questions the very role of government -- McCrory has named him director of the Office of State Budget and Management. "This would be like a President Romney appointing the Koch brothers as his directors of the EPA and IRS," wrote Rob Schofield at N.C. Policy Watch's Progressive Pulse blog. 2. Kieran Shanahan: Found guilty of assaulting a neighbor's children, now leads the Department of Public Safety. A graduate of East Carolina University and UNC law school, Shanahan spent over five years as an assistant U.S. attorney before launching his private law practice in Raleigh, N.C. He's long been involved in Republican Party politics, serving as counsel for the state GOP and four terms on Raleigh city council. He's also been mentioned as a possible Republican challenger to U.S. Sen. Kay Hagan (D) in 2014. 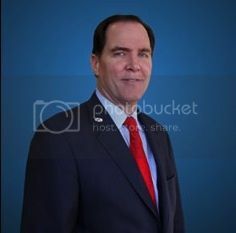 But in 1996, while still on city council, Shanahan was found guilty of two counts of misdemeanor assault for an incident in which he roughed up two neighborhood boys, ages 11 and 13, who were involved in a fight with Shanahan's children. Instead of being formally convicted, though, Shanahan won a "prayer for judgment continued" from the sympathetic judge -- essentially, a warning without a penalty. "I believe in my heart that I did the right thing," Shanahan told The News & Observer at the time. "I think this will enhance my stature and reputation." 3. John Skvarla: A science skeptic takes over the Department of Environment and Natural Resources. 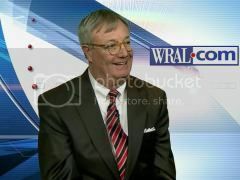 In 1978, with a law degree from UNC, Skvarla founded the Raleigh, N.C.-based law firm of Skvarla, Wyrick and Robbins, specializing in corporate taxes and capital formation -- the same firm where Pope served as an associate attorney from 1982 through 1984. After leaving the firm in 1984, Skvarla went into business, running a variety of companies. Since 2005, he has served as president, chief operating officer and then CEO of Raleigh, N.C.-based Restoration Systems, a "mitigation banking" firm that restores wetlands for credits it sells to developers to make up for those destroyed elsewhere, as required by the federal Clean Water Act. Environmental advocates greeted Skvarla's appointment with cautious optimism given his experience and statements that his agency's work would be grounded in science. But that hope turned into shock after an interview with WRAL reporter Laura Leslie in which Skvarla expressed unscientific and poorly informed views. For one thing, Skvarla rejects the scientific consensus on the reality of human-caused climate change, dismissing Leslie's observation there was such a consensus as "misleading." The problem of climate change is a major concern for the North Carolina, which is in a hotspot for sea-level rise related to global warming. "I have studied this every day for almost 10 years, and I know there's great divergence of opinion on the science of climate," Skvarla said. "I'm not ready to say which is right and which is wrong." Skvarla also questions whether oil -- which McCrory wants to drill for off North Carolina's coast as soon as possible -- is a finite resource. He pointed to the discredited Russian theory of abiotic petroleum, which holds that oil is not a fossil fuel formed from ancient zooplankton and algae but instead comes from deep carbon deposits that date back as far as the earth's formation. It's a theory popular among creationists who want to believe the earth is only 6,000 years old. But at the same time Skvarla has been studying fringe ideas about climate and oil, he was ignoring a very real problem facing coal-dependent North Carolina: poorly regulated disposal of coal ash waste, which has resulted in groundwater contamination at 14 power plants across the state owned by Duke Energy, where McCrory worked for 28 years. Asked about coal ash by Leslie, Skvarla replied, "It's not something that I'm overly familiar with at this point, so to opine on it would not do justice to the topic." 4. Tony Tata: Fired as superintendent of the state's largest public school system following a transportation fiasco, put in charge of the Department of Transportation. A retired brigadier general in the U.S. Army who served as the deputy commander of the 10th Mountain Division in Afghanistan, Tata attended The Broad Superintendents Academy, a 10-month program founded by billionaire businessman and education reform advocate Eli Broad to train non-educators to run urban school systems. In 2009, controversial former D.C. public schools chancellor Michelle Rhee recruited Tata to serve as her chief operating officer. 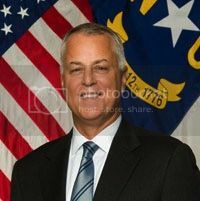 The following year, he was picked to serve as superintendent of the public schools in Wake County, N.C. -- hired by a school board that had recently been taken over by Republicans in an electoral effort for which Art Pope served as a financier and chief architect. The Republican board moved quickly to scrap a longstanding desegregation policy designed to prevent concentrated poverty in schools, sparking a wave of protests and a political backlash that resulted in Democrats taking back board control in 2011. The new Democratic board majority kept Tata on as superintendent despite complaints about his educational inexperience and reportedly bullying management style. But the last straw was the chaos that ensued at the start of this school year, when Tata's decision to take 52 school buses off the road to save money led to a weeks-long debacle where buses arrived late or not at all, stranding children and inconveniencing parents. The board fired Tata last September after less than two years in office. In naming Tata to lead the state Department of Transportation, McCrory said, "If he can do it in Afghanistan, he can do it here" -- apparently ignoring the fact that Tata was unable to do it in Wake County, N.C.
5. Aldona Wos: Chosen to lead the Department of Health and Human Services, raising questions about McCrory's pledge to reject pay-to-play politics. A Polish-born physician who grew up on Long Island, Wos left her home in New York City for Greensboro, N.C. in 1997 when her husband, Louis DeJoy, started a private logistics company there whose clients include the U.S. Marine Corps and the Postal Service. 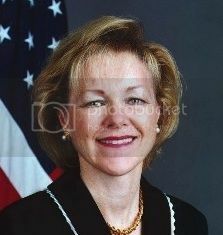 Wos soon became one of the top Republican fundraisers in North Carolina, resulting in her 2004 appointment by President George W. Bush as ambassador to Estonia. Wos and her husband have contributed generously to McCrory's gubernatorial campaigns -- the maximum of $16,000 in his failed 2008 campaign, and at least $13,000 in the latest election cycle (final reports are still being tallied). Altogether, Wos, her family and employees of her husband's company have contributed over $216,000 to McCrory's campaign and the state Republican Party since 2008, according to an analysis by the liberal advocacy group Progress NC. Wos also served as co-chair of McCrory's recent campaign. Though Wos has no experience in state government, McCrory appointed her to run the state Department of Health and Human Services, a massive agency with 17,000 employees and an $18 billion budget. That has led Progress NC and other critics to question the sincerity of McCrory's campaign promise to end the political patronage system that flourished under the Democrats. "Pat McCrory isn't shy about rewarding big campaign donors with plum jobs in his administration," Progress NC said about the Wos appointment. Who's funding the candidates in bizarre scandal at NC school board battling over desegregation?